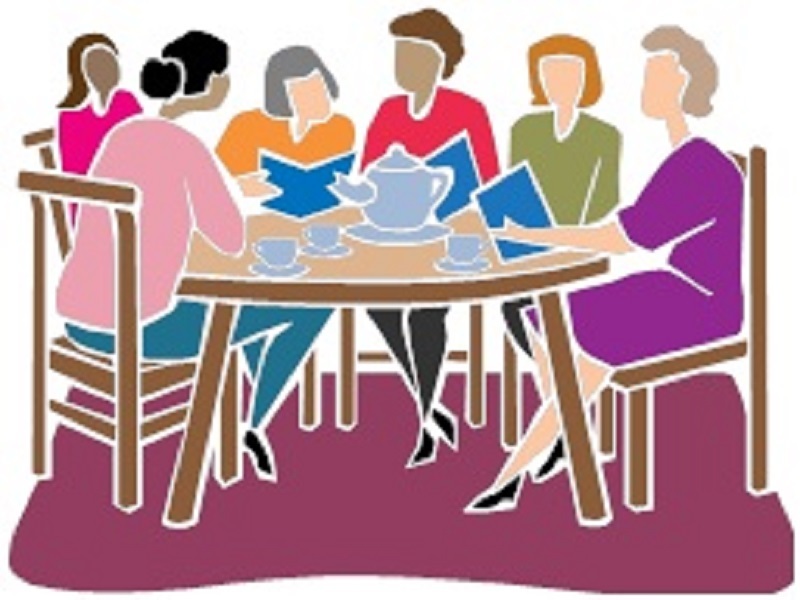 The Favorite Author Book Club was started in October of 2005 and is still going strong. Meetings are held on the 3rd Tuesday of every month at 1:30pm. The next month’s author, genre, or theme is announced at the end of each meeting, and is posted at the Main Circ Desk. Here's how it works. Come by the library after the 3rd Tuesday & pick out a book by the selected author, or the selected topic. (Some will be available at the Main Circ Desk.) Then, on the 3rd Tuesday, you'll join others to discuss the author/genre and the books! Discussion meetings are held 1:30-2:30, in the Library meeting room or Board room; snacks, too! New members are always welcome. There is no sign-up required, and no dues or commitment. Bring a friend…and make some new ones!